A big thank you has to be said to our kind Fortismere community for all the fantastic donations here. And thank you for your support. We couldn't do these things without everyone being so brilliant. Wonderful people keep getting in touch to give more prizes so do keep checking back to see what has been added. We hope you enjoyed Fortitude on Saturday. Broadway's Tony Award winning musical COME FROM AWAY transfers to London's Phoenix Theatre next year. These tickets are for the OPENING NIGHT and include joining the POST SHOW PARTY. Date has now been confirmed and will be MONDAY 18TH FEBRUARY 2019. Laura & Arpy's Autocare, is the only 100% female garage in London. We have a female mechanic, female apprentice, female receptionist & we are owned by females. We are offering a £50 MOT Voucher. We are happy to provide a Collection and Delivery service to our local community. The services we provide are MOTs, Full/Interim Service, Electrics, Bodywork, Tyres, Brakes, Repairs, Insurance Repairs and General Maintenance. 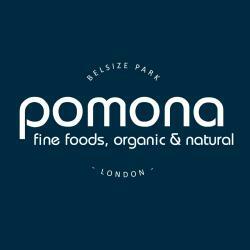 Pomona Foods, fine foods and organic products, is in Belsize Park. At Pomona you will always find a wide range of exciting, fresh and tasty foods. To this end we work closely with local Organic Farmers, Cornish Dayboats and London Bakers, amongst many others to bring you the best produce currently available. You are bidding for £100 voucher to spend here. A home delivery service can be requested. Tailored to all ability levels, whether you're a complete novice or a triathlete eager to improve. Based on a unique teaching approach that promotes fast, energy-efficient swimming. 1-1 to ensure you get a Personal Training experience. 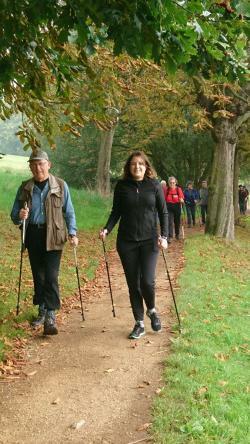 A great way to keep fit, lose weight, focus your mind and ease tension. You are bidding for 50 minutes of foot reflexology in the comfort of your home. Value £60, please note, North London area only. Katrin is a trained reflexologist. You are bidding for a week (or shorter) in a luxury, three double bedroom, two bathroom apartment in wonderful Swanage, Dorset on the Jurassic Coast. 2nd November 2018 to 29th March 2019. Week to be taken between 02/11/18 and 29/3/19. 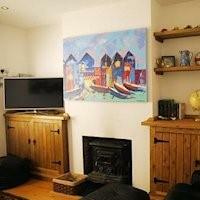 The apartment is in a quiet location, only a few minutes walk from the centre of town and the beach. The sandy beach is one of the main attractions of the town. The waters are clean, and the beach has won many European Blue Flag Awards, as well as the Encams Quality Coast Award. Swanage beach has a well earned reputation for being a good place to soak up the sun and play in the sand and sea. Deck chairs are available for hire, as are pedaloes, kayaks and sun beds. The beach runs the length of the town and is backed by a promenade lined with amusements and attractions. It is found on the South West Coast Path. Diver training and excursions run regularly from Swanage. Other water sports include sailing, water-skiing and wind surfing. Whatever the weather, take a journey back in time and enjoyable day of excitement and nostalgia at the award winning Swanage Railway. Sit back and relax during a leisurely trip behind one of our historic steam locomotives. The 12 mile Swanage Railway return trip takes you through the beautiful Purbeck countryside and includes stunning views of the iconic remains of William the Conqueror's Corfe Castle. As you travel down to Swanage you can appreciate the rich history of the area, its abundant wildlife and fascinating geology as well as the influence the region had on famous authors such as Enid Blyton and Thomas Hardy. Steam trains run most weekends throughout the year and daily from April to October. Situated 1 mile from Swanage in Dorset, is a fabulous 280 acre countryside paradise and National Nature Reserve, consisting of sea-cliffs, coastal limestone downland, haymeadows, hedgerows and woodland. With stunning views, walking trails, the historic Great Globe, superb geology, fascinating wildlife and renovated Durlston Castle, there is always something different to see and do. Durlston is a gateway to the Jurassic Coast World Heritage Site which runs from Exmouth in the west to Old Harry Rocks at Ballard Down. We are also designated as Heritage Coast, Special Area of Conservation, Site of Special Scientific Interest, Area of Outstanding Natural Beauty and National Nature Reserve. Our offshore waters are part of the Marine Research Area. A wonderful renovation of the Victorian Castle, fully accessible with a timeline from the car park, daily and monthly wildlife, geology, live camera images and regularly changing Exhibitions and Art in our gallery. Also home to Seventhwave Cafe & Restaurant and our shop (selling books, souvenirs and locally made gifts and jewellery). Come and spend the day here. Open every day (except 25 December). As The Duke’s Head's cooler sister pub, we are thrilled to bring the very best craft beers from independent breweries, classic cocktails and authentic Neapolitan pizza to Crouch End. With a total of 18 draft lines on offer and a carefully curated selection of fantastic cocktails, Small Beer will delight the most discerning drinker." 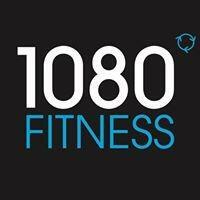 1080 Fitness is offering a Personal Training session with our master trainer. The session will be 1 hour and can be tailored to suit your fitness needs. The training session can cover a wide range of areas like Weight Loss, Strength and Conditioning, Endurance Training, Flexibility & Core Stability Training, Pilates and also Kickboxing Pad work. You will also be offered a diet analysis and provided with a personalised Healthy Eating Plan. Lending an ear is not always advisable, as you can never be sure when you’ll get it back. But we don’t mind, its all yours to enjoy. 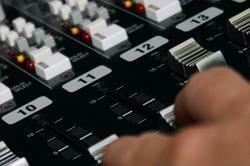 You have 1 hour rehearsal session & 1 hour recording session in BonaFide Studios, Muswell Hill, with our top engineer. A Doggone Fabulous Spa Special, which includes a bath with mani & pedi OR for new dog owners a Puppy Package - both come with a bottle of pooch cologne. Treatment is a one to one service in our new studio at 8 Priory Road, N8 7RD. More information available at http://www.doggonefabulous.co.uk or call Jane on 077769745997. 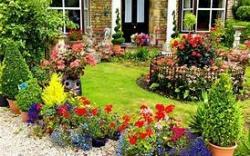 Two hour garden consultation including advice on either a specific part of the garden that you want to address (i.e. replanting a border), or in a more general way to give you some ideas for layout. 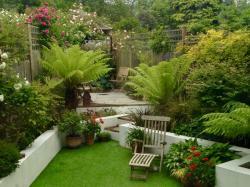 Kate has a diploma in garden design from Capel Manor and is a Fortismere parent. Cori is a trained coach, Buddhist women’s leader and passionate advocate of personal development and empowerment. She has a varied career from professional singing to working with deaf children to entrepreneurship. Shifting your mindset one small belief at a time can have a massive impact on all areas of your life. In this one hour taster session, Cori will help you figure out the next steps to creating the life you really want. Choose from either a delciously gooey flourless chocolate cake, made with ground almonds instead of flour Or a tangy lemon drizzle cake made using a combination of ground almonds and gluten free flour. New these cost between £700 - £900; on e-bay these usually go for about £300. Enjoy a one hour therapeutic, rejuvenating and deeply relaxing Massage or Reflexology Treatment with Augusta Hull or Tom Hoyland. Treatments to choose from - Holistic Swedish Massage, Thai Yoga Massage, Pregnancy and Post natal Massage or Reflexology. You are bidding for a gorgeous, handcrafted macramé wrap bracelet adorned with Swarovski crystals. 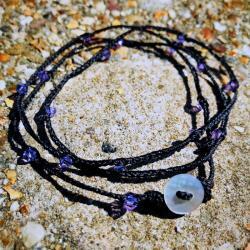 Can be worn as bracelets, chokers or anklets depending on how many times you wrap it around. 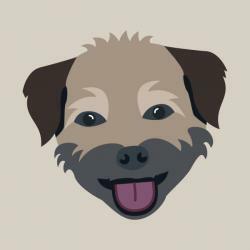 Five sessions of dog walking, suited to your dog, by an experienced walked of dogs - Selena is used to handling dogs, as she has her own lovely dogs, and also often walks others dogs for them. 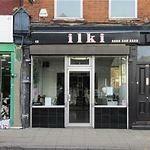 On offer is a 30 minute Japanese acupressure massage. The technique is known as Anma, 100 accupresure points are applied along the upper body, through the clothes, seated in our ergonomic super comfy chair. It works on helping release stress and tension, detoxifying the body and leaves you feeling relaxed yet revitalised! The Vital Touch was founded by Suzi Cinalli and Nunu Roney in 1996, coming from backgrounds in the music industry and the performing arts. The Vital Touch was conceived as a specialist corporate health and wellbeing business. We are proud of pioneering the introduction of massage, workshops and therapies into the workplace. And we're very proud that many of our original clients are still with us today. Our team of carefully-selected, highly experienced therapists are expert, intuitive, responsible and professional: fully qualified and insured to work on any premises. Do you want your home to be a real haven where you can relax and enjoy life? 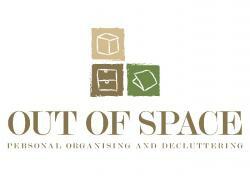 As a professional organiser and declutterer, Shula Levy, will help you make the most of your space and your time. Decluttering can be a stressful and emotional process. Shula will show you how to declutter and guide you through the process: help you decide what to let go or and how to organise those items you want to keep. A bulk bag of wildflower oddballs!! 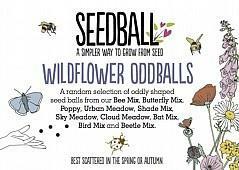 Each 300g bag (approx 300 balls) contains a random mixture of all our wildflower Seeball varieties and come in all manner of shapes and sizes, but never a perfect ball - but they will work just as perfectly! Great for creating large areas of wildflowers, each bag will cover an area of approximately 15-18 m2. A once in a lifetime chance to chat to our MP about the current political climate and what's really going on behind the scenes. Catherine West our newly re-elected local MP is kindly donating tea for two to our auction, which could be held at the Houses of Parliament or elsewhere. 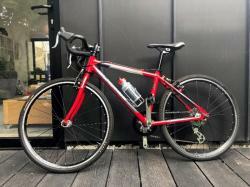 Minimum bid is £220 (Bid increments are £20). One off peak (Sept-October or April -June) week in a 2 bedroom apartment (http://www.premantura.it/AppB.php) in Premantura, Croatia. 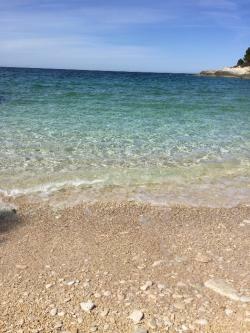 Premantura is located 10Km south of Pula, Istra, Croatia. 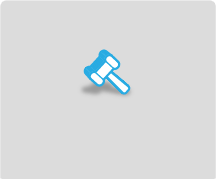 Minimum bid is £20 (Bid increments are £3). Ordinary people on their search for love, companionship, fame, truth and wealth start their journey into the unknown as they enter The Twilight Hour where things might not always be what they seem. 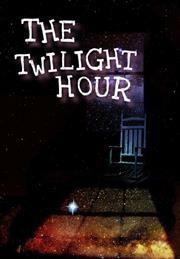 A show inspired by The Twilight Zone from the team that brought you Shorts @ The Canal. Minimum bid is £54 (Bid increments are £4). Large tray of Mousaka, feeds 6-8 adults, value of £45. Vegetarian and meat options available. 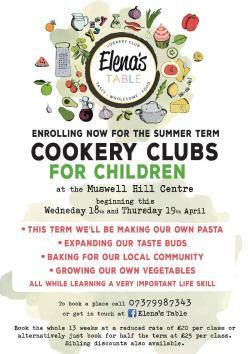 Cookery clubs for children and adults. Family meals made to order. Personal chef and home catering services. With Food and hygiene standards approved and Current DBS Certificate. Run by myself, a fully qualified teacher with 10 yrs experience. You are bidding for a three-course dinner for two from a set menu in The Game Bird at The Stafford London including a bottle of house wine. The philosophy at The Game Bird is simple – dedicated to following the seasons and supporting local artisans including award-winning family owned farms. The chef has created a ‘theatre of the senses’ menu based on uncomplicated excellence: local, seasonal produce sits alongside time honoured British classics. 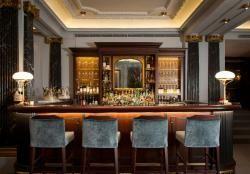 In a setting reminiscent of an exclusive private members club, a heady mix of classic British design captivates and enchants while intimate dining booths whisper seduction against a backdrop of pale blue walls and specially commissioned artwork from some of the country’s leading young British artists. For those in the know, the chic Champagne Bar is the place to slip away from the outside world and into a glass of chilled Champagne or a martini cocktail before dining in the restaurant. 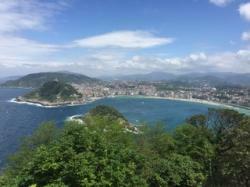 This two bedroom apartment in the centre of San Sebastion is on offer for a long weekend (Friday, Saturday, Sunday nights). This needs to be used before the end of 2018. 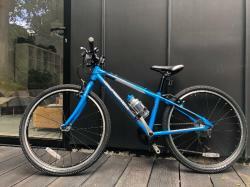 It is currently only being used right now for 3 weeks in the summer holidays so if you’re quick we can get you out there while it’s still hot. Swimming Nature are offering a Fast Track Course that can be redeemed at any of their 20 London venues, valid until 1st September 2019. Every month, Lauderdale House hosts an exciting family-friendly show, ideal for young children! They are offering a family ticket (2 adults & 2 children) to one of their fun children's theatre shows later in the year. The lucky winner will be able to choose from the September, October and November shows, which include 'Tales from the Shed', 'The Enormous Turnip' and 'Mrs H and the Sing-along Band'. Run by Elena's Table at the Muswell Hill Centre. Make sure your child has valuable life skills! Choose between a chocolate, carrot, vegan cake or a cheese cake. Really you can state your preference! · My years of travel have led me on a journey from being a journalist in New York to a chef in London. 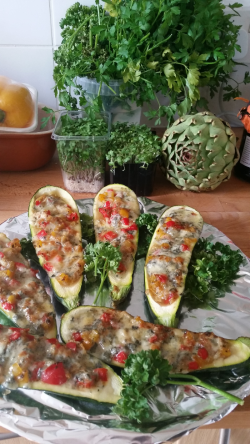 Here in my own kitchen in North London, I create special menus of homemade dishes for all occasions. You can order lunch, dinner and snacks; indeed my dumplings have been recognized by some as the best in East Finchley! 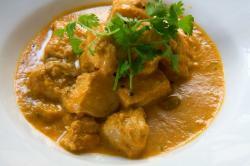 My menus include Polish, Russian, Croatian, French, Middle Eastern, Indian and Thai cuisines, to name a few. I can say, without a doubt, that the food my family and I eat at our home, or the food I make for my customers is a reflection of my experience traveling across the globe. These are 2 traditional Tin cut decorations Mexican sacred hearts called milagros. Sacred hearts are really popular in Mexico they are lightweight and colourful. Ideal for wall or window decoration. Dimensions 12 X 12 cms approx. I have been working with different artisans from different regions of Mexico since 2010. I love my country , the culture and all the hand crafts we have that's why I decided to show people a little bit of my country. All my hand crafts are fair trade and carefully selected. A one-hour yoga class for up to 10 people with experienced yoga teacher Jane Drinkwater. Jane qualified as a yoga teacher with the British Wheel of Yoga in 2004 and has been teaching yoga, loosely based on astanga yoga, ever since. 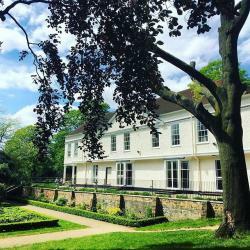 The class will take place in the Common House, in the new Woodside Square development in a lovely airy room with wooden floors at a time to suit everyone. Mats will be provided. Beginners or advanced! 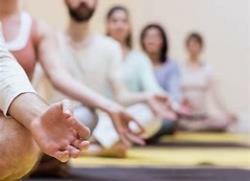 3 passes to Finchley Yoga worth £12 each to be used in any class. To be delivered directly to your home and will need to be claimed before 1st August 2018. This is made by one small factory in Italy and not sold as ready-made. The jeweller, a Fortismere parent, buys it loose and then cuts, solders and polishes it in his workshop. It's truly beautiful. To find out more about this amazing jewellery visit http://www.metalcrumble.com or drop by the shop 'Metal Crumble' in Stoke Newington. Is your garden in need of a little care and attention? Tessa, with an RHS Horticulture Diploma, offers 2 hours of garden clearing, pruning, weeding and planting advice. 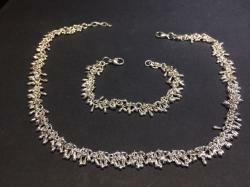 We are delighted to be able to offer a special necklace, created by Hermes, which has been donated by one of our parents. 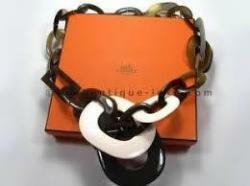 It's a Hermes Collier Duncan Corne De Buffle, brand new, original price £870. 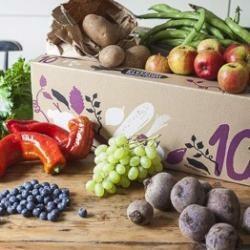 Eating a healthy, wholesome diet is easy with our large organic fruit and veg box. Packed with 8 different varieties of veg and 3 varieties of fruit, all of our produce is freshly picked and full of seasonal flavour. We only give you what’s ripe and ready for eating in our fields so box contents change throughout the year, giving you enough variety to keep everyone in the family happy. From crisp sugar snap peas to tart, tangy rhubarb, this fruit and veg box is a winning combination of seasonal fruit and veg at its best. “The large fruit and veg box provides excellent variety, encourages us to try new things and provides everything we require for the week so there’s no need to waste time in the vegetable aisle of the supermarket anymore! Less packaging means it’s better for the environment too. You can’t beat the freshly picked taste and the fact it’s delivered to your doorstep makes it great value for money.” – David, Riverford customer. 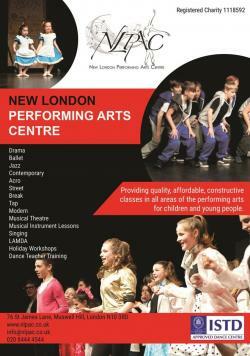 New London Performing Arts Centre provides quality, fun, constructive performing arts training and holiday workshops to children of all ages in a non-competitive, nurturing environment. This prize entitles the winner to a full term of group classes or one summer workshop course. Leila Sifri is a Sports Therapist, specialising in Remedial and Sports Massage, injury treatments and acupuncture for injuries. She has 22 years of experience and has worked extensively with sports people including the figure skating community, the British Ice Dance team at Alexandra Palace, long distance runners and also non-sports people of all ages. She is offering a 1 hour massage at her practice on Dukes Avenue, normal value £60. 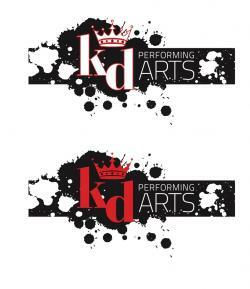 Come along and join KD Performing arts, for Dance, Singing and Theatre training from the age 3-18.You will receive dance classes from Kyle Minogues choreographer Venol King, Leroy Santos and AD from Flawless Britons Got Talent. Choose from either a deliciously gooey flour-less chocolate cake, made with ground almonds instead of flour Or a tangy lemon drizzle cake made using a combination of ground almonds and gluten free flour. The CARLOS Method melts body fat and incinerates calories, helping you to feel and look great! If you are looking for 30 minute personal training sessions in North London in a friendly and supportive environment, then come to The Carlos Method. This prize includes two 1-2-1 personal training sessions and a 30 minute massage. On offer we have four family tickets for an outdoor production of Shakespeare's Measure for Measure. 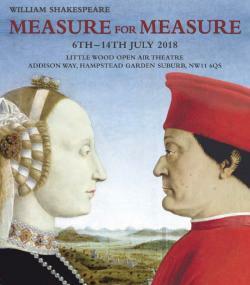 Set in the idyllic outdoor surrounding of Little Oakwood, in the heart of the Garden Suburb, NW11, Measure for Measure is very much a play for our times. With themes of corruption, abuse of power and sexual exploitation it holds a mirror to our world as much as in Shakespeare’s day. Duke Vincentio absents himself from court leaving his deputy Angelo in charge. Angelo abuses his position, seeking to take advantage of young Isabella whose brother he has condemned to death. Scenes of intense emotion are interspersed with a comic sub-plot. All this is observed by the Duke, who has disguised himself as a friar and returns at the end to bring all to book. Tickets kindly donated by the Director on behalf of the Garden Suburb Theatre group, a friendly, non-luvvie, local registered charity promoting involvement in the Dramatic Arts in North London. We welcome anyone who wishes to learn more about drama, either by participating in or coming to watch one of our diverse programme of shows. Architect’s Home Design Consultation (including free copy of property development guide) by 11.04 Architects. 1 hour Consultation by local Award-winning Architect; Interior Designer and Development Consultant, Chris Roche. 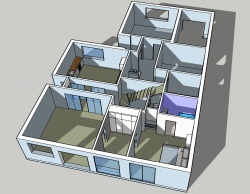 The consultation will explore your design aspirations for your home and will look at planning permission issues, adding value, time and cost management, etc. 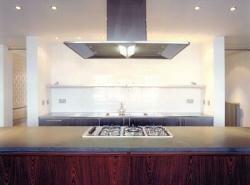 Typical client objectives are adding a loft conversion; kitchen extension; home office, etc. 11.04 will advise on how to save up to 20% on your construction budget. 11.04 create beautiful, functional, and life changing environments. Chris is an award winning architect, and was Listed @ no. 9 in Esquire Magazine's 100 World Style Leaders. He is the author of “Property Developers Handbook” (Haynes) – a step by step guide to the development process for non-professional developers. 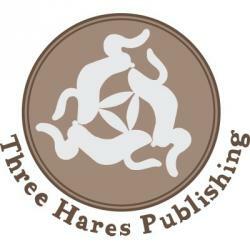 A literary agent for 14 years, Yasmin set up her own publishing house, Three Hares Publishing, four years ago. A firm believer that you need to move with your times, Yasmin strives to be at the cusp of change in a continuously evolving and fast-paced industry. 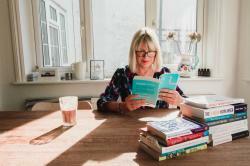 Her agency, Standen Literary Agency, specialises in thought-provoking YA and children’s fiction, whereas Three Hares publishes adult and children’s fiction. Yasmin loves working closely with authors and being an agent and publisher in a small publishing house enables her to do this. She curated literary events at Midsummer Muswell 2017 and will be participating as an agent at the Historical Novel Society Conference, London Book Fair and Winchester Writers' Festival. I have always loved flowers. From a young age I would take half my pocket money & buy a few stems to have in my room. Choosing fresh flowers from our local market on a small budget I learnt to appreciate what was in season, what lasted (what didn't) & what smelt nice & so my interest grew. After teens, university & travelling I spent 10 years in marketing before taking a break to start a family. Whilst at home I set myself the goal of learning to "make things" with flowers. 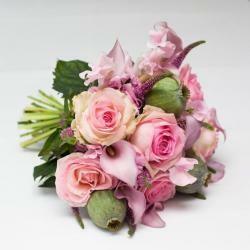 I enrolled in floristry evening classes which soon became the highlight of my week. My house filled with flowers every Wednesday as I brought home whatever we were studying - from Bridal Bouquets to Sympathy flowers. A few years & four children later my interest in flowers went from a kitchen table hobby to a business in 2012. I feel incredibly lucky to work with flowers every day. I still get a huge buzz from my trips to the flower market, even at 4am in the dead of winter. It's always a feast for the senses & the wonderful wholesalers work so hard & with such good cheer. I will always love seeing the effect flowers have on people, their environment & moods. From the simplest bunch in a "tin can", to altogether grander arrangements, the effect is always a positive one. 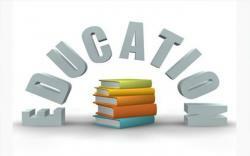 Does your primary age child need an extra boost in either English or maths? Then this prize is for you. Gill Piesold, a local primary school teacher and tutor, can work with your child on the areas where they need support. We are a special bunch of Osteopaths and Complimentary Health Practitioners who treat a wide range of musculo-skeletal injuries including lower back, neck and shoulder pain in Crouch End. This would give you a chance to try us out! Minimum bid is £440 (Bid increments are £20). Relax in our sunny courtyard, soak in the Victorian-style roll-top bath or snuggle up to the wood-burning stove! A real home-from-home!! Lionshead Law are offering a fully up-to-date template Staff Handbook suitable for employers big or small, worth £1200 plus VAT. Minimum bid is £64 (Bid increments are £4). 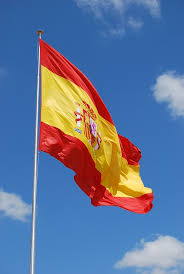 This is an offer of 2 one hour sessions of tuition or a 2 hour session of tuition in Spanish. Whichever you prefer. Raquel can help you or your child with an extra boost in Spanish. She can work on the areas where support is needed. 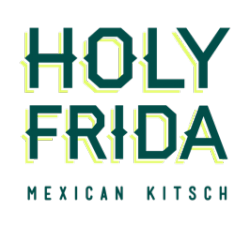 This is Meg, Mexico Lover and founder of http://www.holyfrida.com a new platform for all kinds of original Mexican #fridakhlao inspired products. Take a look at the website to see all the wonderful Mexican inspired products you could buy with this voucher. 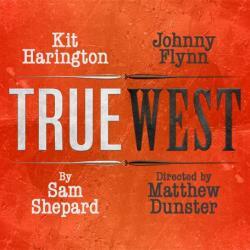 Two tickets to opening night of TRUE WEST along with two passes for the after show party on 4th December 2018. 7pm start time. Vaudville Theatre, London. 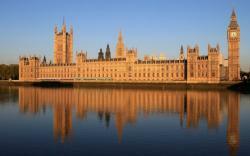 You are bidding for a private tour of Parliament for up to four people, very kindly provided by Fortismere parent, Stewart Wood. 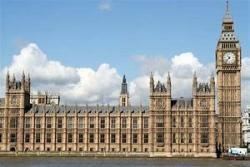 Highlights may include the ornate Chamber of the House of Lords, dominated by a golden throne designed by Augustus Welby Pugin. The Members’ Lobby is famous for its statue of Winston Churchill; the famous leader’s brass toe has been rubbed shiny by Tory MPs looking for luck in their maiden speeches. 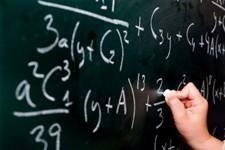 You are bidding for a one hour intensive maths GCSE/other lesson. Vanja teaches and tutors maths for any age/school year but mainly prepares children for their maths GCSE exams (years 10 and 11). 18th-century painting, furniture and porcelain with superb Old Master paintings and a world class armoury. This personal tour is for up to 5 people. The tour focuses on the paintings in the Wallace Collection. We will be taking a look at not only English artists such as Reynolds, but also French 18th and 19th Century artists such as Boucher and Ragonard. AS well as Spanish, Dutch and Flemish artists. 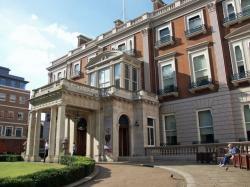 Join Pippa to discover the hidden treasures within Herford House, now known as the Wallace Collection. wonderful facilities for kids. You will also receive discount vouchers for the on-site cafe. The closest club to Fortismere School is David Lloyd Finchley, located 1.5 miles from our school gate. 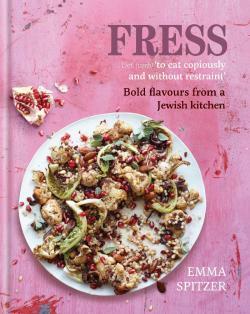 Fress is the bestselling cook book from MasterChef finalist 2015 and Fortismere mum Emma Spitzer. Bid for your signed copy now. A gorgeous framed and giclee print signed by local artist Emma Franks. 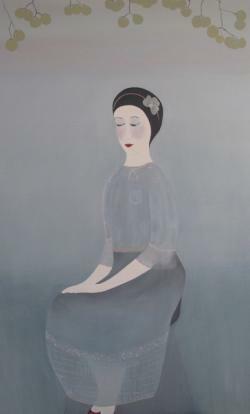 Emma is participating in East Finchley Open, on 30th June / 1st July and 7th / 8th July. Minimum bid is £455 (Bid increments are £25). 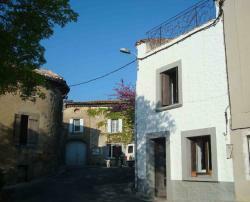 Historic village house: spring-fed lake and river swimming, walks, Cathar castles, markets, vineyards. Visit beaches, Carcassonne, outstanding museums and contemporary art centres. Stylishly renovated, with panoramic views of Corbières hills from roof terrace. Sleeps 4/5; state-of-the-art kitchen; separate dining and living rooms. The winner may book the house in any week up June 29, 2019. Some weeks are still available over 2018 summer holiday; as are October half-term, over Christmas, Easter and May half-term 2019. Please liaise with Nick and Annie via the email address below to check specific dates. See website for details of the property and the region. Minimum bid is £29 (Bid increments are £4). 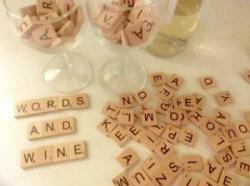 An evening of creative writing and wine, just a few doors up from Fortismere. 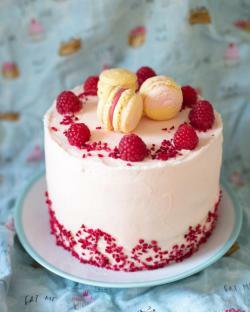 Talented, professional baker Sarah Shepherd will make a delicious 8 inch celebration cake for your birthday or special occasion or a dozen cupcakes if you prefer. 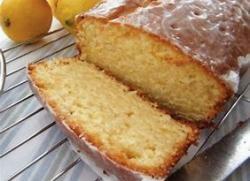 The cakes can be flavoured with vanilla, chocolate or lemon and filled with buttercream or jam. Check out Sarah's profile on Instagram @theyogiwhobakes for more evidence of her baking skills.